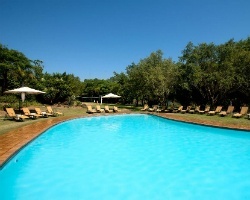 *Kruger Park Lodge* can be found in beautiful Eastern Transvaal, only a 42km drive to the Kruger National Park (Paul Kruger Gate). Many scenic attractions in the area included the Blyde River Canyon, Gods Window and Pilgrim's Rest. Kruger National Park has Africa's finest on display in every possible way. Birdwatching and wildlife watching opportunities abound! For those with more on-site interests, the swimming pool, Gary Player designed 9-hole golf course, tennis court, miniature golf, island Boma, restaurant, playground and trampoline are available for convenience and enjoyment. This resort is part of the Legacy Hotels and Resorts holiday network. 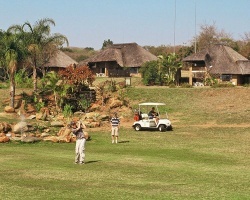 For more information, visit www.legacyhotels.co.za. Stunning South African resort! Buyer may receive a title fee credit, inquire for details!